On 12th July 1966, three years after the issue of the Denominazioni di Origine law, the President of the Republic issued a Decree which recognised the Denominazione di Origine Controllata (D.O.C.) “Vino Nobile di Montepulciano”, and prescribed the regulations for its production.On 1st July 1980 the “Nobile” became the first Italian wine to display the neck-strip of the Denominazione di Origine Controllata e Garantita (D.O.C.G.) which places it alongside the most prestigious wines in Italy and the world. The first series of “neck-strips” has been kept in Montepulciano at the Consorzio del Vino Nobile. - grape variety: Sangiovese, called “Prugnolo Gentile” at Montepulciano, minimum 70% may be joined up to 30% by other varieties authorized for the Tuscany Region. 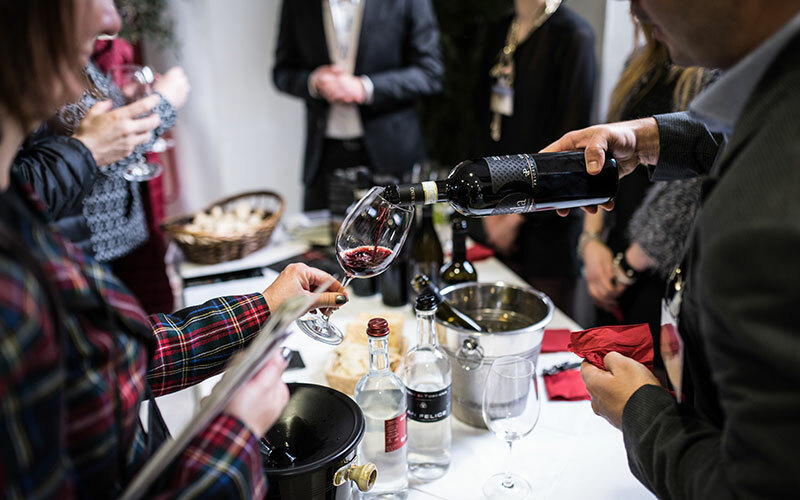 - the wine can only be sold after ageing for two years (three for the Riserva) and in any case after passing a series of chemical and organoleptic tests carried out by a ministerial board. - vinification and ageing must by law take place in the municipal area of Montepulciano.